2018 release. In a meteoritic rise from swing to Broadway's newest leading lady, Jessica Vosk has never been one to rest on her laurels. 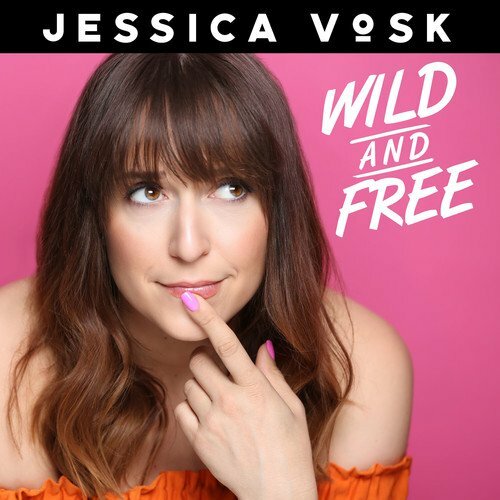 Recorded between headlining the national tour of Wicked and joining the Broadway company as the 15th anniversary Elphaba, Jessica unleashes her "powerhouse voice" (Hartford Courant) on her debut album Wild and Free - an eclectic mix of musical theatre and pop, drawn from her legendary solo shows and new favorites, including songs by Jason Robert Brown, Sara Bareilles, Sia, Pasek and Paul, Prince and more. "Wild and Free" features arrangements by Mary-Mitchell Campbell and Cameron Moncur, and is produced by Michael Croiter and Robbie Rozelle. If you have any questions about this product by Broadway Records, contact us by completing and submitting the form below. If you are looking for a specif part number, please include it with your message.